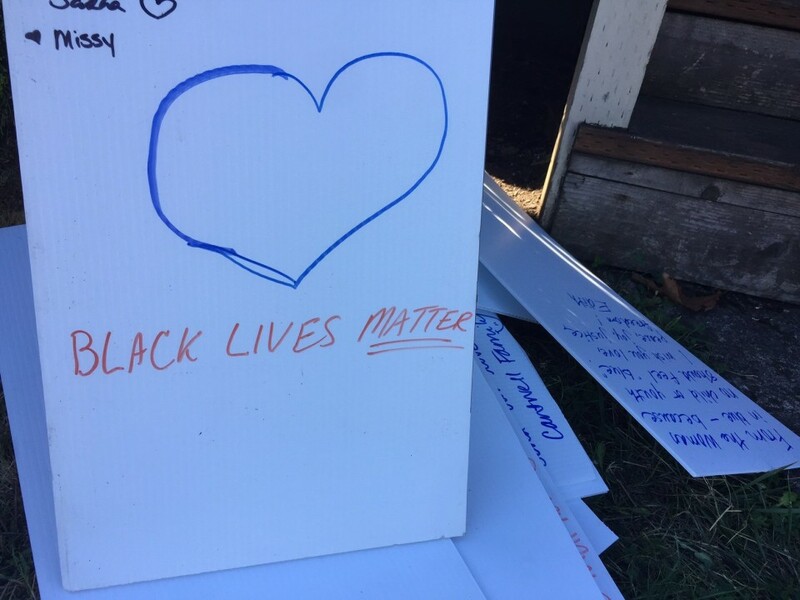 Bicyclists in Portland were out in force on Sunday, September 25, to ride in support of an African American family that was attacked in what police called a racially motivated incident. A passing bicycle rider attacked Patricia Garner and her daughter, Foia Frazier as they were helping Foia’s three sons into a car on September 13. The man on the bicycle used pepper spray on the children and screamed racial slurs at the family. The oldest child had to be taken to a hospital later that evening due to breathing difficulties from the pepper spray. The rally was organized by bicyclist Taz Loomans and as it got underway, Ms. Garner sat in front of a home near where the attack occurred. Ms. Garner was given notes of support written by those participating in the rally.